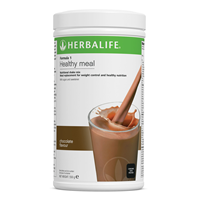 Millions of people around the world have chosen Herbalife Nutrition to help them make positive lifestyle changes. Join our global community today and have a taste of our top selling products. Start your day with a delicious Formula 1 nutritional shake, enjoy a refreshing glass of Aloe concentrate drink, or savour a tasty hot cup of instant herbal beverage. Explore our Best Sellers – the award-winning products that make the Herbalife Nutrition brand a global leader in protein solutions and nutritional supplements.